This work by Rajan Sankaran conveys the essential idea or the “sensations” of 20 plant families such as: Anacardiaceae - Cactaceae - Compositae - Fungi - Labiatae - Liliflorae - Magnoliales - Malvales - Ranunculaceae - Rubiaceae - Solanaceae - Umbelliferae. Here Sankaran develops for the first time a kind of “periodic table” of the plant remedies, schematically arranged using a dual-coordinate system of a botanical family theme modulated by a miasm. It is already clear that this approach enables less well-known plants to be prescribed with success. This book is a breakthrough in the homeopathic systematization of plant remedies. In its importance for a new view of the plant kingdom, it is aptly compared to Scholten’s vision of the periodic table for the mineral kingdom. Although many authors have worked previously with the concept of botanical families, Sankaran has created a new approach, which unifies the families and the miasms in one new system for the first time. 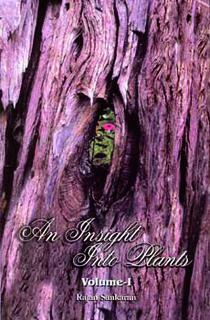 He calls the theme of each plant family as a ‘sensation’, and the individual way of reaction in disease is identified with the particular miasm the patient is in. These two parameters make up the whole two-dimensional system. It is easy to apply as soon as the two parameters of sensation and miasm are understood in depth. 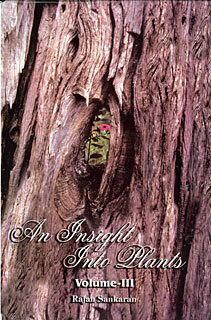 The book contains the ‘sensations’ of 20 plant families, deducted by a unique search and sifting technique of the materia medica programs, which he describes in this book. We thus find the hypothetic themes of Anacardiaceae, Berberidaceae, Cactaceae, Compositae, Coniferae, Euphorbiaceae, Fungi, Hamamelidaceae, Labiatae, Liliflorae, Loganiaceae, Magnoliales, Malvales, Papaveraceae, Primulaceae, Ranunculaceae, Rubiaceae, Solanaceae, Umbelliferae, and Violales.The work on this book led the author to elaborate on another multi-dimensional system. This new step is taken in ‘The Sensation in Homeopathy’.